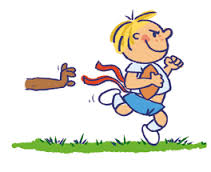 The Year 5/6 tag rugby team took part in the Dorset county schools games finals on Thursday 26th March. After coming 3d in the Bournemouth competition, the squad knew that the day would be tough as the standard was inevitably going to be higher. However, the team responded brilliantly, especially after some intense extra training sessions run by Mr Paramore in the lead up to the event. The team won four games and lost one whilst scoring 23 tries in the process. They narrowly missed out on a place in the semi-final. It was an incredible effort and all the children should be very proud of themselves. Well done!